South Carolina Mechanic's Lien Release Bond ~ SuretyOne.com, National Judicial Bond Leader! 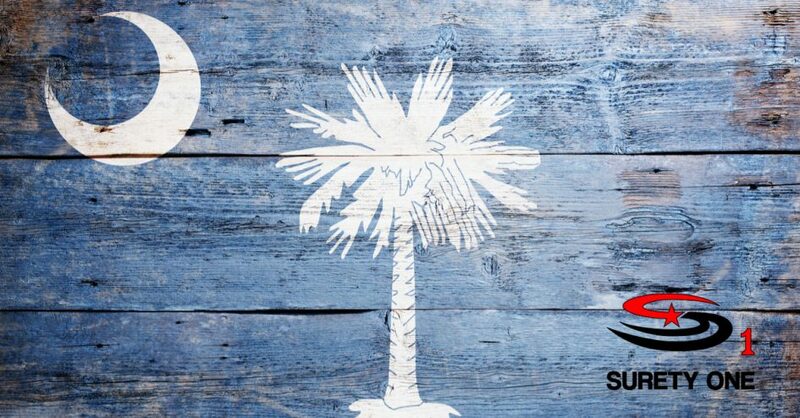 South Carolina statutes allow owners and contractors to file a South Carolina mechanic’s lien release bond to free a parcel of real property from a labor or material lien. Section 29-5-110, titled “Release of lien upon filing written undertaking and security”, states that at any time after service and filing of a statement of lien the owner or any other person having an interest in or lien upon the property involved may secure the discharge of such property from such lien by filing in the office of clerk of court or register of deeds where such lien is filed a surety bond in an amount equal to one and one-third times (1.33%) the amount claimed in such statement.The statute specifically authorizes use of a surety bond executed by a surety company licensed to do business in state. Upon the filing of a mechanic’s lien release bond the lien is immediately discharged and surety bond takes the place of the property upon which the lien existed and is subject to the lien. In the event of judgment for the person or entity that filed the statement of lien in a civil suit the surety company that issued the bond must pay such amount found due, not to exceed the amount of the bond penalty. A suit to collect on a lien must be commenced as required by Section 29-5-120, the undertaking herein required shall be null and void. The code requires a suit enforcing the lien to be commenced and notice of pendency of said action to be filed within six months after the person claiming a debt h as ceased providing labor and/or materials. State law also allows a party to request release of the South Carolina mechanic’s lien release bond to seeking a court order. The principal’s attorney may move the court for mechanic’s lien discharge or may file a written affidavit stating that six months has passed since the lien was attached and no suit or notice of pendency has been filed or that the lienholder has failed to take some other timely action required by law. South Carolina surety bond leader, Surety One, Inc. is THE most responsive underwriter of mechanic’s lien discharge bonds in the nation. Our expertise in manuscripting surety bond forms for acceptable recording, same day underwriting, immediate bond execution and delivery are unequalled. We underwrite mechanic’s lien discharge bonds in all fifty states, Puerto Rico and U.S. Virgin Islands. Visit our contact page at SuretyOne.com, call (800) 373-2804, or email Underwriting@SuretyOne.com for application materials and assistance with your South Carolina mechanic’s lien release bond or any other surety need.